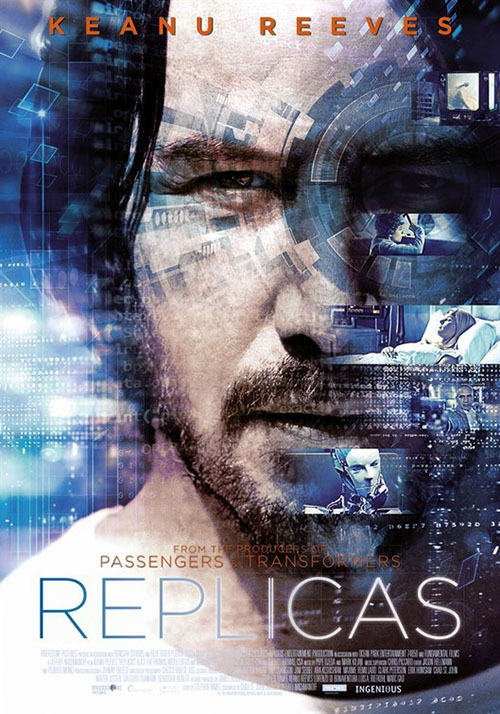 I have seen a number of reviews Online for the new Keanu Reeves film, Replicas, and all of them have ripped the movie apart. Using terms like "incompetent", "and incredible waste of money", and "early contender for worst movie of 2019", they made this film sound like the lowest of the low, the kind of wretched movie you expect Mystery Science Theater 3000First aired on the independent TV network KTMA, Mystery Science Theater 3000 grew in popularity when it moved to Comedy Central. Spoofing bad movies, the gang on the show watch the flicks and make jokes about them, entertaining its audience with the same kind of shtick many movies watchers provided on their own (just usually not as funny as the MST3K guys could provide). It became an indelible part of the entertainment landscape from there, and lives on today on Netflix. to cover years from now long after everyone has forgotten it. In short, it's totally my kind of January movie. That's why, this last weekend, I made sure to take a trip over the multiplex to give this wretched movie a watch. I was amused to find that despite it being opening weekend for the film, the movie had already been shunted to one of the tiniest theaters in the place, the one were only fifteen or so people can fit. And still I was the only person anywhere in the theater. There was clearly not much of an audience for this film. Having seen it, I can totally understand why. 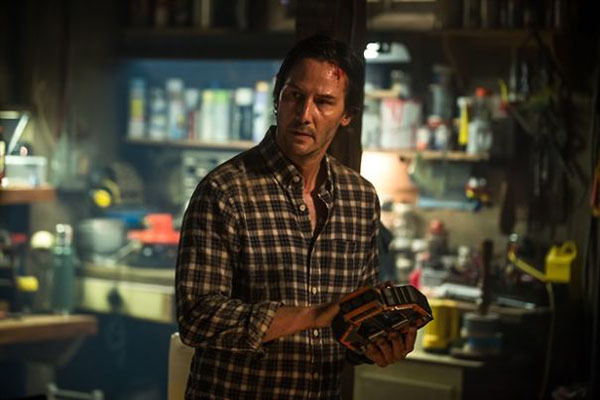 Let's be clear from the outset, though: I don't think Replicas is one of the worst films of 2019. It's bad, for sure, but not in that offensive kind of way that makes you wonder who thought this film was a good ideas. This is just an outrageously middling creation that wastes the time of the audience and actors, as well as about $30 Mil, all in the pursuit of some cruddy, half-baked ideas better suited for a middling sci-fi anthology series on basic cable. 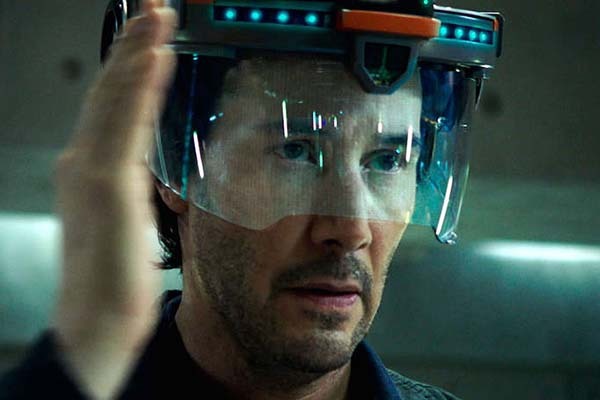 In Replicas, Keanu Reeves plays research neuroscientist William Foster, a man working on a way to not only map the human brain but also transfer it's memories (all the basic blocks of what make up human consciousness) to a new host. As we see he, along with his research assistant (who is also an expert in cloning, because why not? 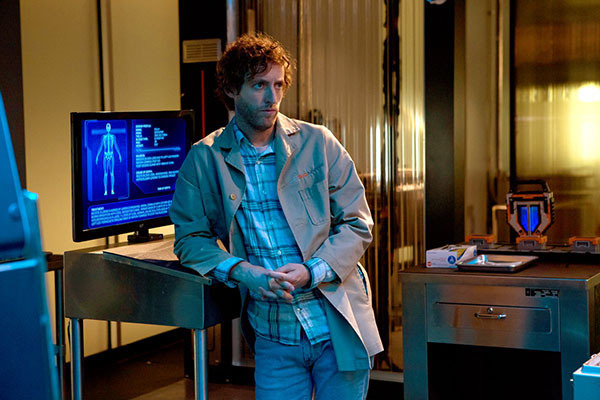 ), Ed Whittle (Thomas Middleditch), have had many failures along the way with their pet project (344, to be exact), and we get to witness the 345th one when they transfer the mind of a fallen soldier into a robot body. It does not end well. Although the project is nearing the end of it's life, Foster still elects to go on vacation with his family for the weekend, borrowing Ed's boat for a jaunt on the high seas. However, before they can reach the boat, the car hits a fallen tree and drives off into the water. Foster is the only one of his family to survive. Instead of letting them stay dead (because then we wouldn't have a movie), he has Ed steal a bunch of equipment from the lab so they can make human clones of his family and transfer their minds into these new, clone bodies. And then things constantly spin out of control. The first problem that's obvious with Replicas is that it wasn't so much money on a middling production. Despite the film seemingly costing a ton of money to make, you can't really see much of it on screen. The only thing expensive about this film had to be Keanu Reeves's paycheck. The film only really has two sets, with the barest minimum of cheap props and simple settings. 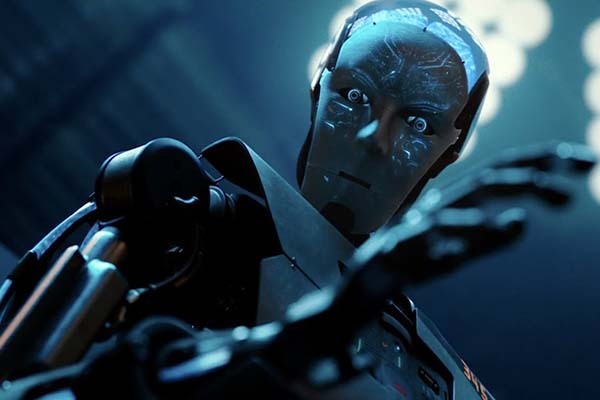 Despite there being a robot in the movie, the film doesn't even boast decent CGI -- the effects we do see look like something Ray Harryhausen would have produced with stop-motion effects, this despite it being CGI in 2019. To call the film chintzy undersells how cheap it really looks. What annoys me more than the paltry production value of the movie, though, is the fact that they wasted a potentially good ideas on a really terrible movie. The film takes the entire concept -- that a mad scientist makes clones of his dead family -- and plays it all from the sad-sack perspective of leader character Foster. A concept like this needs to be told from the perspective of the wife, Mona (Alice Eve). 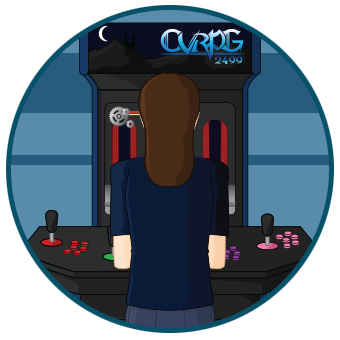 The cloning should already have happened by the time the film begins, and the story should be her suddenly getting memories that don't make sense, visions of things she couldn't have experienced. She should start questioning everything while her husband dismisses all her fears. It should be a tense thriller that makes you question ever fact of the movie right up to the point of wondering if the wife is a clone, or if it's the husband. Who is real and who is fake? That movie has a solid hook to it; Replicas does not. By focusing on Foster, the movie drains any tension of the concept. Once his family dies, the movie basically drags the character through one inevitable conclusion after another. Will he copy their minds? Of course he will. Will he find a way to give them new bodies? Of course he will. Will he then resurrect them in the hopes everything will be okay? Of course he will? Will it all be okay? No. The only twist is that the family doesn't immediately go crazy and start murdering everyone around them. Instead, the film devolves into a corporate espionage plot that makes little sense in the context of the story leading up to it. Hell, to be fair, not much of anything really makes sense in this film the second you start thinking about it. There are so many plot holes in the film that the movie tries to hand-wave away, only to cause new problems. Foster borrows a ton of equipment without anyone notices. Except the corporation does notice but doesn't care. Except then they do care and want to kill the family of clones to cover up all the evidence that an illegal experiment happened. How can they track the family down if they go on the run? All the clones have tracking devices implanted in them automatically in the birthing chambers. Isn't this something Foster should have known and been able to deactivate? Yes, it is, and no, he doesn't. Why? Who the hell knows. But if the film would have just done everything from Mona's perspective, and made the husband just as evil as the corporation he (apparently blindly) works for, we wouldn't have had to ask all these questions. The how and the why doesn't matter when the movie doesn't go through the long, often torturous, process of showing us their creation. If we pick up with an already cloned Mona was just have to accept that it happened and we can move on with the story from there. We've already bought in because there's no need to explain it -- it just is. Replicas tries to be both a heart-warming movie about a man trying to get his family back and a techno-thriller, while missing the core story that could have woven both threads together in a satisfying way. As a movie, it just doesn't work. Had this film been released as an episode of a sci-fi series, it would have been moderately acceptable, maybe even decent; a passable hour or two to fill the schedule without making a lasting impression. Instead, for whatever reason, this film received $30 Million and was released, ineptly, into theaters where it stood no chance. It's not a good movie, at all. It's dumb and poorly thought out and never should have been released out into the wild. But it was, and I saw it, and at times I enjoyed it. It sucked, but that's why it was released in the middle of January.